Piaget, a Swiss luxury watchmakers and jewellers is best known for producing one of the world ‘s thinnest movement. At the 23rd Salon International de la Haute Horlogerie, SIHH 2013, Piaget will present Emperador Coussin XL Ultra-Thin Minute Repeater, the watch that boasts the world’s thinnest minute repeater movement in the caliber 1290P. The watch is an automatic, contains 407 parts and is just 4.8mm thick. It is housed in a 48mm wide case, made ​​of 18k pink gold. The entire watch is 9.4mm thick, pretty impressive for a minute repeater. The watch practically has no dial, but only a beautiful view of the mechanism, with rose gold hour markers to indicate the time. Its caseback also provide a clear view of the gold micro-rotor automatic mechanism. 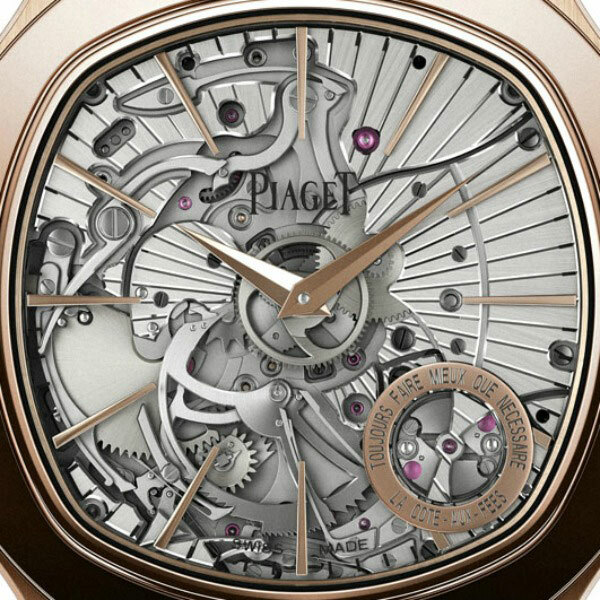 Around the minute repeater’s regulator, there is a message which emphasizes that the movement is made in in Piaget’s highest-end movement making facility in the small town of La Cote-Aux-Fees. Although, there is no classic clock dial, it doesn’t mean that there is no hour indicators. It probably features a sapphire crystal middle section where the rose gold hour markers are placed. The factory claim that the audio from the minute repeater is pretty loud and is 65 decibels. 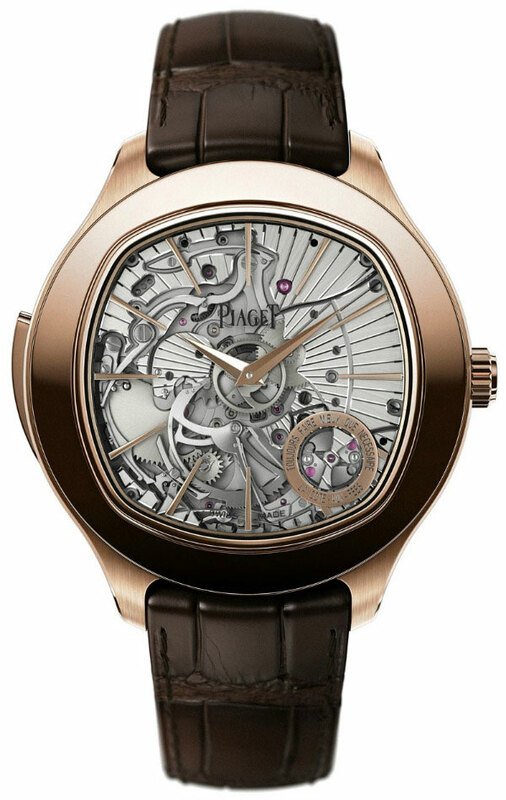 The 2013 Piaget Emperador Coussin XL Ultra Thin Minute Repeater will debut at SIHH, scheduled for 21st-25th January 2013, and after that it will be available to purchase for the price of $250,000. Although, there is no classic clock dial, it doesn’t mean that there is no hour indicators.